Do Law Schools Attended Predict Partnership? A recent article would have us believe that your law school alma mater highly influences, if not dictates, your chances of making partner in a large law firm today. Although the article includes some interesting data, on the main theme it misses the boat. The performance boat, that is. Where is the performance element in this article? The author, who apparently is a Harvard Law grad, perpetuates the perception that graduates of the top law schools are “entitled” because of their elite credentials. That, in itself, is regrettable. 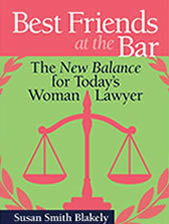 Entitlement, as we know from our experiences as struggling women attorneys, does not get much attention today. The emphasis today is on what is valued by employers. In reality, it is my experience that law firms care less about credentials like law school attended than they do about performance, as in client development and books of business. This is especially true in the current economic environment, which has moved us from concentration on the hallowed halls of academia to the competitive business environment of the real world and a changing law profession. Let’s get real. Articles like this are not only discouraging to readers who do not have the elite law school backgrounds but they also are irrelevant to the realities of career success. If our respected law blogs continue with articles like this, we can expect to hear next that LSAT scores are used as an evaluating factor for partnership, which any experienced law practitioner knows is absurd. At least the word “competence” is used in the article — at the very end when most readers have abandoned interest. Surely, we can do better than this. Being yelled at is wrong, and it is unpleasant. However, it rarely constitutes harassment or constructive termination, as one New Jersey woman lawyer is claiming. In this crazy article, that raises some very good issues about how law firm’s should treat attorneys on maternity leave (so read it! 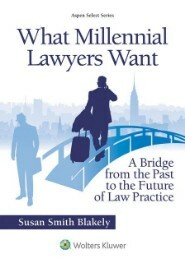 ), the references to senior lawyers yelling at junior lawyers provides some valuable food for thought. The problem for the woman claiming constructive termination based on being yelled at by another attorney, however, is that she is not a junior lawyer, and the entire thing seems very contrived. 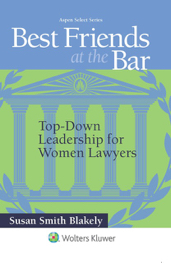 We all should be able to agree that yelling is not a good management and leadership tactic, and I address that in my new book, Best Friends at the Bar: Top-Down Leadership for Women Lawyers, which will be released this summer. In fact, yelling is a very bad behavior trait, and we all should try to eliminate it from our repertoires. I only can think of a few instances where yelling is appropriate, and they all involve life and death situations. I have heard stories about yelling and abusive treatment from many young women lawyers — and a few young male lawyers, as well. And, of course, I experienced it on my own many years ago. Although I do not condone it, and that must be clear by now, I know that it happens and I know that you will have to learn to be tough and get through it. It is a negative part of our profession, but it is only that — part of our profession. There is so much more on the positive side of the scale to make the occasional yelling episode pale by comparison. Do not make the mistake of blowing it out of proportion or you will find yourself throwing the baby out with the bathwater. Be tough. Demonstrate “true grit.” If you do not know what that means, read my books. Recently, a young woman lawyer described to me what she considered to be abusive verbal treatment by a senior lawyer. I listened patiently, and then I pointed out to her that she was an associate in a law firm and not the Queen of Sheeba. There is a difference. The law firm’s objective is to train you and to prepare you for a successful career. It is not to make you feel warm and fuzzy and pamper you. Keep that in mind when you are deciding what is abusive and worth making a big deal of. Mull it over. Do not act prematurely. Let your maturity and your professional end goal guide you. One day a judge will yell at you. I promise. It happens to most lawyers at one time or another. If you never have been yelled at by an authority figure, it will come as a big surprise, and you may not know how to handle it. If you have had that experience, however, you will be ready to respond as a professional. Make the most of everything you experience as a junior lawyer and learn from it. Distinguishing good leadership behavior from bad leadership behavior is what will make you a good leader in the future. And that should be your goal. I know. You all think that e-discovery is one of the most boring thing you can imagine. You would rather be alphabetizing your files or filling out your billing logs, right? You don’t like to think about e-discovery — at all. You think that is someone else’s problem, someone your law firm retains to worry about boring stuff like e-discovery. Well, I am sorry to burst your bubble. As it turns out, there are some very good reasons why you need to think about e-discovery, whether you want to or not. Consider the lawyer in California who is the subject of a California Proposed Formal Opinion, as reported by a recent article in Above the Law. The attorney in question is being faulted for things that could have been avoided with a fundamental understanding of e-discovery. Simply stated, it appears that the attorney did not understand his role in how to preserve electronic evidence. You would have to be living under a rock if you did not understand that electronic evidence is everywhere. It is in your e-mail, it is on this blog, it is in your texts, your Facebook, and it is all over your computers —- and, perhaps more important, it is in all of those places that are controlled by your clients. Those are the documents that you have a responsibility to review and may be obligated to produce to opposing counsel, but you may not be equipped to do that. The California Proposed Formal Opinion addresses what attorneys need to do to supervise clients, IT staff, and third-party vendors. The bottom line is that although delegation is attractive — especially with a boring subject matter like e-discovery — the attorney is ultimately responsible for the final product. I know a young lawyer who acquired a strong background in e-discovery with a top-rated e-discovery firm before going to law school. Now she is practicing law, and she is not nearly as intrigued by e-discovery as she is by the substantive nature of her practice. That, of course, is understandable, and I love that she is experiencing career satisfaction. But, I keep telling her how valuable her expertise in e-discovery is and that she needs to get credit for those skills at her law firm. Sometimes she listens, and sometimes she doesn’t. I think I will suggest that she read the article and the Proposed Opinion. What happens in California has a way of spreading to the rest of the nation and FAST. Being prepared is the key to protecting your professional future and your bar card. You really have no choice. I hope that you all are wearing green and digging in your own or someone else’s garden today —- at 6 AM before your professional responsibilities begin! But, if you are in California, remember that you can dig, but you cannot water — at least not very much. Beware of the vigilantes who are reporting violations of the drought-related water restrictions in the Golden State. “Drought shaming” is a little like tattle taling for a good cause. Ugh! Your name could turn up just about anywhere these days. When I think of Earth Day, I think beyond my garden and tilling my little piece of the earth. Yes, I love all of that, and I have more gardens than anyone needs or wants to maintain. Gardening is another one of my passions, along with helping young women lawyers, and I appreciate what the earth can produce in such lovely abundance. 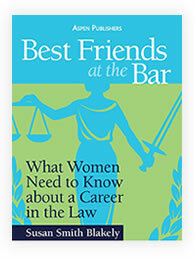 Beyond that, however, I think of the need for women lawyers to be “down to earth.” We have heard that phrase all of our lives, but what does it really mean? To me it means being genuine. Remaining connected to your roots and embracing who and what you are. It is being authentic. The opposite is being disingenuous …. being fake …. trying to be someone you are not. Going down that road is a slippery slope. Being down to earth is especially important when you are networking with colleagues and working to develop clients. One of your most valuable tools in those venues is the power of YOU. It is being yourself, letting your genuine enthusiasm and likability shine through. It is engaging people with the attitude that it is all about them and how you can help them. It includes a warm and friendly handshake, eye contact that does not give way to the over-the-shoulder glance to see if you are missing a greater opportunity somewhere else in the room, and follow-up that tells the potential client or professional contact that you have enjoyed their company and your conversation with them. There is a lot of conceit, hubris and false self-confidence in our profession. Those are not the people you want to channel. I know you know who they are, and I also know that you can do better. It all starts with being confident and assured about who you are. So, do better. On this Earth Day, practice being down to earth. Watch for good role models to help you develop your own genuine professional style. Practice your networking with your new “earthy” style, and continue these efforts well beyond Earth Day. Good luck! I think you will find that the earthy approach suits you well.